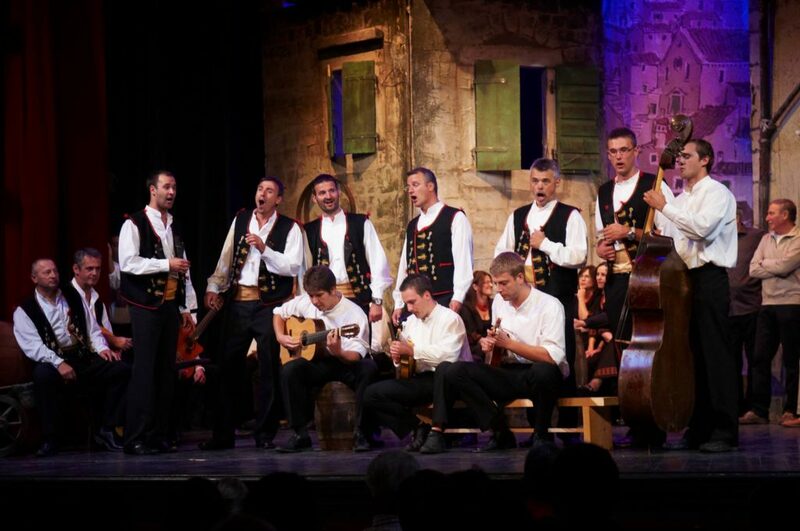 Klapa multipart singing, ancient tradition of the Southern Croatian regions of Dalmatia, has been since 2012 inscribed on the UNESCO’s Representative List of the Intangible Cultural Heritage of Humanity. Klapa singing dates back to the late medieval era, to the time of ancient Dalmatian brotherhoods. Klapa singing is combined by several main features: multipart singing, a capella homophonic singing, oral tradition and simple music making. Singers stand in a tight semicircle, trying to achieve the best possible blend of voices. Topics of klapa songs usually deal with love, life situations, and the environment in which they live. Local communities see klapa singing as a central marker of their musical identity, incorporating respect for diversity, creativity and communication. Not just that various best klapas (klapa groups) come from Šibenik, even more, the inhabitants of Šibenik are known as the best singers in Dalmatia in general. Today, Šibenik klapa singing represents part of the cultural identity of Šibenik’s area, forming musical tastes and helping to keep the traditional values. So once in Šibenik, the incentive of learning the skill of klapa singing is a must. This way one can fully experience the power of UNESCO’s heritage on his/her body (vocal cords) and soul (a deep emotional experience). 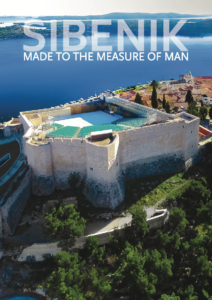 To achieve this special state of physical and mental harmony, Šibenik offers a special incentive of Klapa Singing Workshop called Sounds of Dalmatia which allows for an experience of sighsteeing and singing. Team is divided into a few groups, depending on team size. 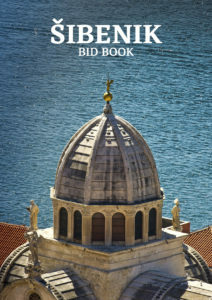 The groups are guided through the most iconic part of the Šibenik’s old town with stops for learning and singing their parit of Klapa song with their own Klapa mentor. The final moment consists of gathering all of the workshop’s participants onto the stage of beautiful St.Michael’s Fortress where they perform their newly acuired skill. Celebration of their success continues on the walls of the fortress with authentic food, drinks and a spectacular view. And, of course, with singing … deep from the throat, and even deeper from the heart. Telephone: +385 (0) 95 914 2449. Previous articleDalmatia celebrating the first two Michelins!